« You Get an Extra Second Today — Do Something Great! We’re coming into the home stretch of Discovery Network’s Shark Week, that ratings bonanza that strikes gold in the channels’s viewership numbers and strikes fear in the hearts of some swimmers (though we know you are waaaayyyy more likely to die of the flu or crossing the street than of ever having a dangerous encounter with a shark). Let’s face it, if they wanted to, they could snack on us quite a bit, but they are absolutely human averse. 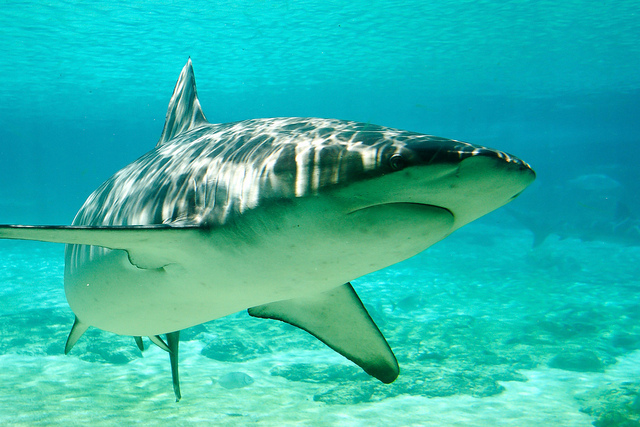 They could never really even the stakes, however, considering the millions of sharks we slaughter every year for their fins and cartilage—often unnecessarily cruelly. so let’s look at some ways to counter the Da-Dum, Da-Dum Jaws soundtrack that thunders in your head every time you dip a toe in the surf (or jump in a pool or fill your bathtub). Volunteering with this world’s amazing shark populations is a great way to counter the press-inflated stories about shark attacks and understand these magnificent creatures. I’ve been lucky enough to have experiences with different sharks, from Great Whites to Whale Sharks to nurse, black-tip reef, and others…and look forward to many more. Sharks rock! Enkosini Eco Experience in Gaansbai, South Africa, as well as White Shark Projects (who I dove with, in that same shark-heavy zone of South Africa near Gaansbai, known as “Shark Alley”) are eco-focused, environmental leaders, and have lots of openings for dedicated volunteers. I’ve had the memory-of-a-lifetime experience of being in the water with the Maldives Whale Shark Research Programme and can’t recommend volunteering with these folks enough. Science rules the excursions, but the pure joy of encountering such grace will be what you carry with you long after you get home (see previous blog posting here). I’m a big fan of Earthwatch, and find myself extraordinarily intrigued by their shark study volunteer expedition in Belize. Frontier Gap has a shark conservation volunteer program in Fiji, helping research species and increase international awareness and understanding. How about a volunteer gig at the Bimini SharkLab – it’s a biological field station always looking for dedicated volunteers. This is just a small sampling of shark volunteer options around the oceans of the world…dive in and find one for your next vacation. Tell Ian Ziering and Tara Reid we’ll meet them there.